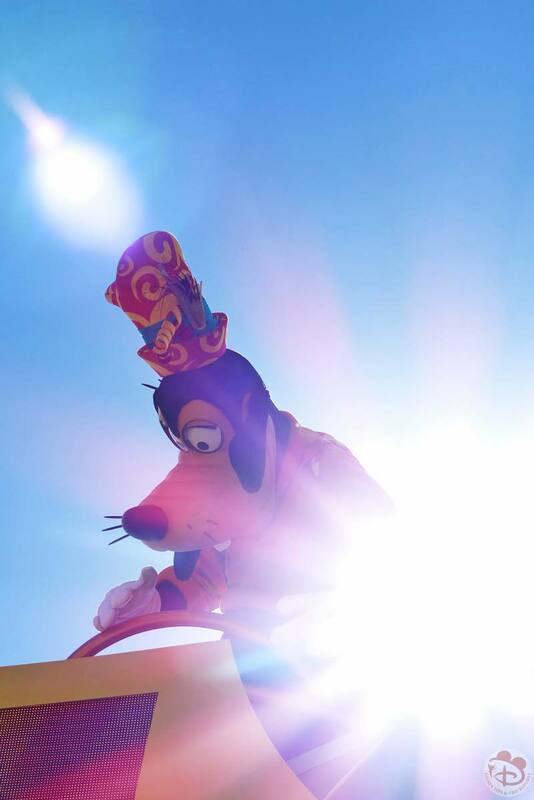 We didn’t have to wait too long after Dream Along With Mickey for the Move It! Shake It! 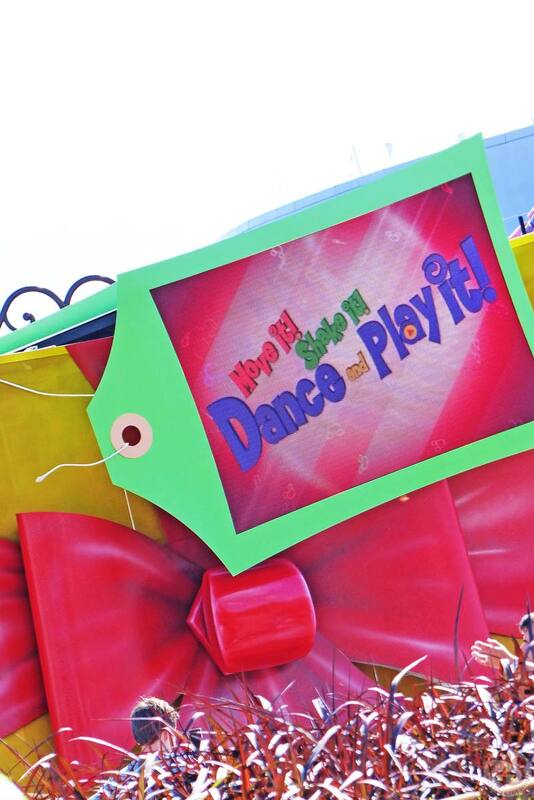 Dance & Play It! Street party/parade. Celebrate with your Disney and Pixar pals at this delightful street jubilee that gets you moving and grooving. Giant gift boxes float down Main Street USA, encircling the hub in front of Cinderella Castle, and you know the party is going to begin. 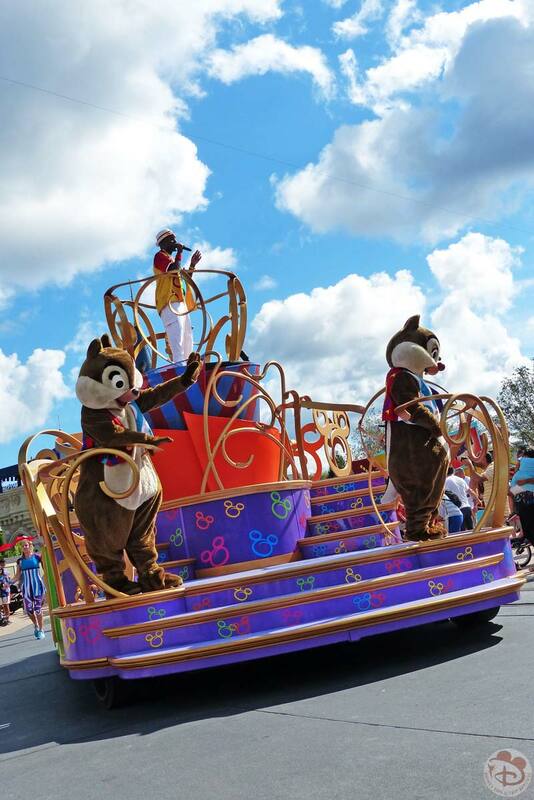 Unlike the regular Disney Parade, this one encourages you to get up, dance in the streets, and even take selfies with the characters to share on social media with the hashtag #MoveItShakeItPics. This parade used to be called Move It! Shake It! Celebrate It!, so there is a name change this year for us, and slightly different floats and characters. The main theme tune has also changed – which is a shame as I prefer the old one to the new, it was a lot more catchy! We wandered into Adventureland, which is one of my favourite themed areas of the Magic Kingdom. We had some free FastPass+ selections from our Disney Vacation Club tour a few days ago, so decided to use one on Jungle Cruise. Some might say it was a waste, but sadly, I wasn’t in a position to make all the stairs at Splash Mountain this year, which was a shame for me. Pirates of the Caribbean was down for some reason, so Jungle Cruise it was! From a plus size point of view for this ride (size UK32) there are no restraints, and it’s a step access into the boat, with bench seats around the edge of the boat. 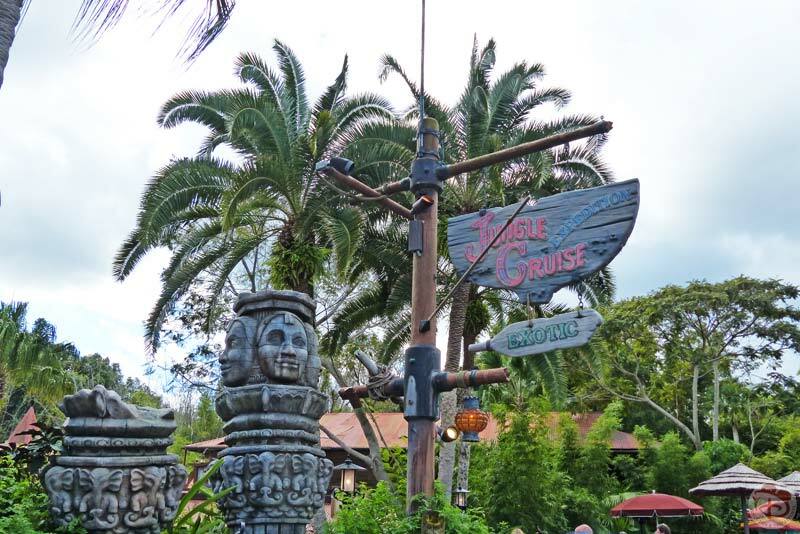 After our Jungle Cruise, we took a break with a drink from Sunshine Tree Terrace. I had a Piña Colada Slushy (non-alcohol) that I wanted in a souvenir Tiki glass (plastic), and some soft drinks for the boys – all paid out of pocket rather than on the Disney Dining Plan. My drink was $10.64, and was delish! Looking at my photographs, there is a photo of Liam holding a box of popcorn, which we must have bought too. I don’t have any record of it in my food spend spreadsheet (geek!) so I assume we paid out of pocket for this, and I’m sure popcorn is around $3 or $4. The boxes and drinks containers have a slightly different design for Halloween which we thought was pretty cool! We then took a wander into Frontierland to grab a spot for the Festival of Fantasy Parade. Discovered this as a good vantage point for the parade last year, so wanted to make sure I got it! 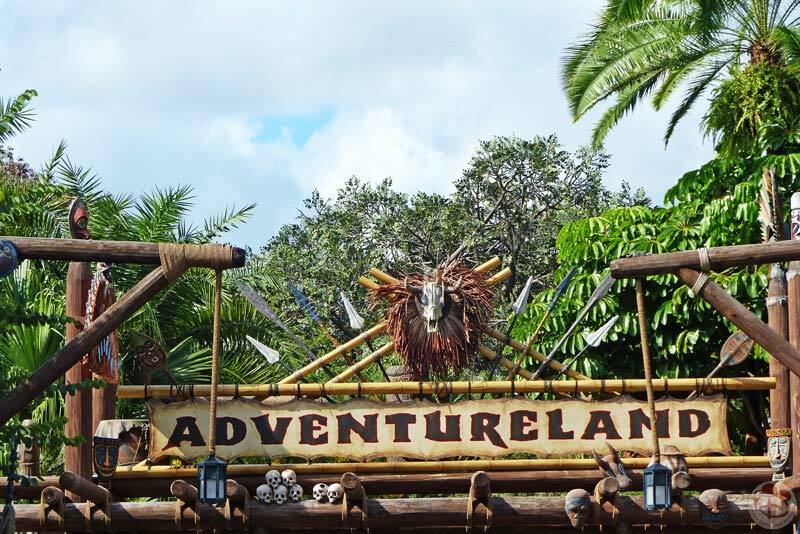 Some more photos below of Adventureland and Frontierland. I seriously could hang out in this part of Magic Kingdom all day! Whilst we waited for the parade to start (photos of that in part 4), it was another souvenir mug buying time! 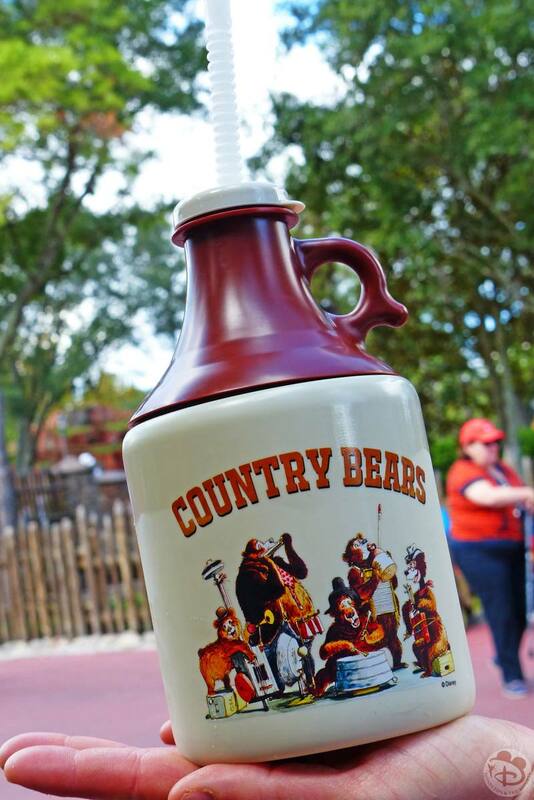 This time it was a Country Bears Jug from Golden Oak Outpost. (FYI, I love collecting souvenir mugs/glasses!) which was filled with Sprite. It cost $11.18 and is a super cool mug jug!